This great Carolina Forest community is one of the most popular. With amenities like a clubhouse, community pool, walking trails and playgrounds, Bellegrove offers everything a family could want. Bellegrove has three neighborhoods with different types of homes and sizes. Bellegrove Palms offers two-story Charleston-type homes with large porches, separate garages, lots of interior upgrades, and a feeling of space throughout. Prices run just under $250,000, and offer some lake views. Bellegrove Willows has a more modern home style, with single or two story models. Sizes range from 3-4 bedrooms and are exceptionally affordable. All have private garages. Prices range from the high $100's to around $250,000. Bellegrove Oaks is aimed to new and first time buyers looking for a bargain but needing the perfect neighborhood and a beautiful home. Prices can be as little as the low $100's, and include a manicured yard, private back yard, and garage. 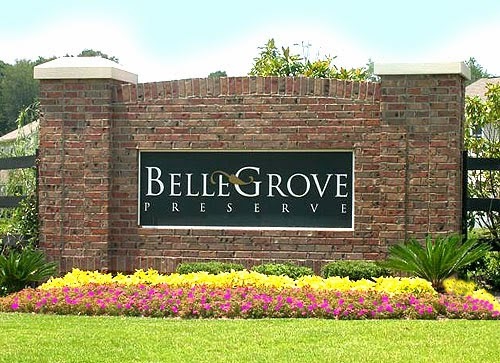 Bellegrove Oaks offers some of the very best buys in Grand Strand real estate. Let us show you the beautiful Myrtle Beach homes for sale in Bellegrove Preserve. Call or contact us today.